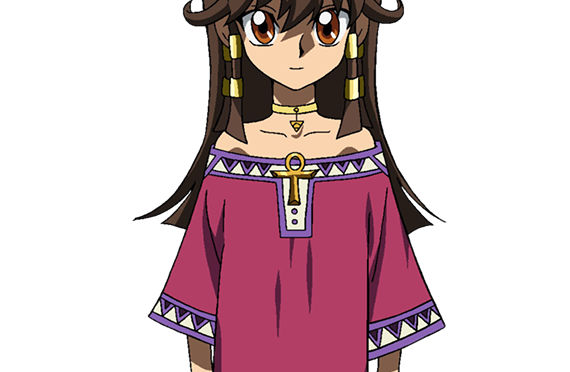 Sera (セラ Sera), also known by her Neurons avatar Prana (プラナ Purana), is a character in Yu-Gi-Oh! 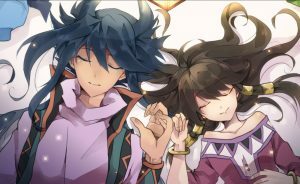 The Dark Side of Dimensions and “TRANSCEND GAME”. She advises and assists Aigami, her brother, on his mission. 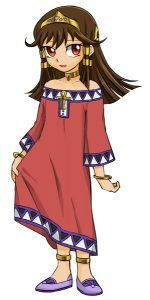 Sera wears a pink dress that partially exposes her shoulders, with an ankh symbol on the middle, and each of her two locks are wrapped with two golden rings. Both her arms and legs also have golden rings on them, and she also wear purple shoes. Her VR Avatar, “Prana”, wears a coat, hood, and a mask, as well as long gloves and boots. The avatar retains the ankh symbol of her regular clothing, and notably looks more like an adult woman than Sera’s real appearance, which is more child-like. In this avatar she wields a sword-shaped Duel Disk. Sera, her brother, Aigami, and Mani, along with other orphans, lived with an abusive man, until Shadi arrived and killed the man. The orphans then began to live with Shadi. She was a successful applicant for testing KaibaCorp’s Neurons virtual reality system. She used the avatar Prana, while using the VR system. Sera used the card “Duja, the Meteoricubic Vessel”.